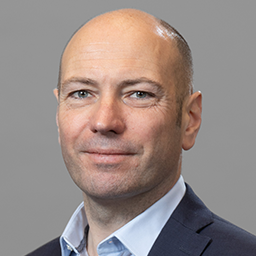 Simon McDougall is a Managing Director in Promontory's London office, and leads Promontory's global privacy and data protection practice. He is a Chartered Accountant and until 2010, led Deloitte's UK Privacy & Data Protection and Payments Regulation teams. He specialises in privacy and data protection, information governance and regulatory investigations. Simon has lead engagements with some of the world's largest financial institutions, technology firms, retailers and life sciences firms. He has developed rationalised privacy risk management models, built enterprise-wide privacy programs and managed in-depth data protection audits. He spent six months seconded as the Head of Privacy and Records Management for the retail half of a large international bank. Simon has served on a range of industry and advisor groups, including the UK Data Protection Forum executive, the BSI Data Protection Editorial Board, the DataGuidance Panel of Experts, the President of the Law Society's Surveillance Working Group, the DMA's Cookies Law Working Group, and Lord Prescott's Working Group for the Leveson Inquiry. The Only Thing That's Changed Is Everything: Did Snowden Make a Difference?